The Velliangiri Mountains, (Tamil: வெள்ளியங்கிரி மலை) a part of the Nilgiri Biosphere Reserve, are situated at the Western Ghats border of Coimbatore district, Tamil Nadu bordering Palakkad District, Kerala. Known as the "Sapthagiri, 7 Hills (Tamil: சப்தகிரி, ஏழுமலை) - Seven Mountains", these mountains are held and revered on par with spiritually most powerful place on the planet - Mount Kailash, the legendary abode of Lord Shiva. On the top of the Velliangiri Mountains, Shiva is worshipped as Swayambhu, one who is self-created and in this form, he graces the devotees. As per the Kachyappar Perur Purana, Lord Shiva in the hill of Kaiyalai, was worshipped by Lord Vishnu-Komuni. Shiva appeared before him and asked, "What did you like?" "My body has not seen your dance. So please show your dance, 'said Lord Vishnu. Lord Shiva said: "The two sages of Patanjali and Vyaghrapada have performed some of their virtues, and I showed them my dance in Vellinangiri. In the same way, Lord Vishnu obeyed the command of the Lord Shiva, wearing the Rudracham, the Lord Vishnu went to the southwest of Velliangiri hills and worshipped the Lord Shiva. As per a legend, Vayu Bhaghvan and Adiseshan had a dispute to find out who is superior, to prove the superiority adiseshan encircled the Kailasam, Vayu tried to remove this encircle by creating santamarutham (Twister). 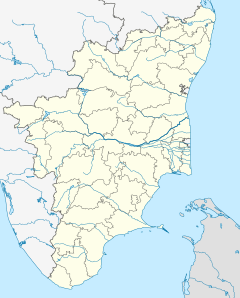 Because of the santamarutham, 8 kodumudigal (parts) fell from kailasam into 8 different places which are Thirugonamalai (Trincomalee), Thirukalahasti, Thiruchiramalai, Thiruenkoimalai, Velliangiri Mountains at Rajathagiri, Neerthagiri, Ratnagiri, and Swethagiri or Thirupangeeli. The Velliangiri hills form a major range in the Western Ghats in the Nilgiri Biosphere Reserve. The seven hills with altitudes ranging from 520 m – 1840 m are bordered by the plains of Coimbatore district to the east, the Palghat district of Kerala on the western boundary, the Nilgiri mountains to the north, and the Siruvani hills on the southern boundary. The annual rainfall is quite variable in the hills (500 mm – 7000 mm) with temperatures ranging from 0 °C during winter to 41 °C in the summer. Many seasonal rivers such as the Neelivaikal, Mayar or Andisunai traverse the hilly landscape. The Noyyal river originating from Velliangiri hills is one of the major tributaries of the Cauvery, which irrigates about 100,000 of hectares of agricultural land in the plains. The Velliangiri hills watershed feeds into the Siruvani dam, which is the main drinking water supply for 1,500,000 people in the urban centre of Coimbatore. Vegetation is predominantly dry deciduous forests of foot hills, second and third mount have evergreen forest and last four belt up shola forest types. Shiva is known as Swayambhu, the source of the creator. Normally pilgrimage to a place is unlike trekking. Even today going for Kailash is not possible for many. So in this sense, Thenkailaya yatra has become significant and great possibility for one. Of all the mountain shrines in Kongunadu, the Siva temple of Velliangiri in the western boundary is considered to be the most famous. Known as Rajathagiri, Velliangiri, Dakshin Kailash or Bhoolok Kailash, this sacred spot, according to legend, is where Siva performed his cosmic dance on the request of his consort Umadevi. The five faces of Lord Shiva, Brahma, Vishnu, Rudra, Maheshwara and Sadasiva, are seen as Panchagiri and as Panchalingas pertaining to the panchabhutas, in Velliangiri. The hill ranges have abundant natural resources, which include rare herbs. Lord Panchalingesa and his Consort Manonmani amman alias Parvathi, bestow their grace on the devotees who throng here annually between February and May. Women between 10 and 50 years of age are not permitted to climb up the mountains. There is a plan to provide shelters and temporary toilets near Andisunnai for the devotees during the season. The Transport Corporation ply buses between Coimbatore (Gandhi Puram) and Poondi every day. Special bus services are available during festive occasions like Maha Shivrathri. Coimbatore is on the international circuit with flights connecting it to Singapore and Sharjah. On the domestic front it is well connected to Kozhikode, Chennai, Kochi, Bangalore, Mumbai, and Delhi by both rail and road. The season that are suitable for trekking this mountain is between Feb to May, and we have to be careful about Elephants near Bamboo Trees and other animals. During the season there is forest check post at the base camp to filter the plastics which will harm the wild animals. Its good to support the forest people for checking and collect some thrown away plastics back from the hills. 5 km from the foot hills of the Poondi temple. 30 km from the commercial center Coimbatore city and near Siruvani, Altitude: 6000 ft. Dhyanalingam is just 2 km away from Poondi temple, walkable distance. ^ Ragupathy, S; Steven, NG; Maruthakkutti, M; Velusamy, B; Ul-Huda, MM. "Consensus of the 'Malasars' traditional aboriginal knowledge of medicinal plants in the Velliangiri holy hills, India". J Ethnobiol Ethnomed. 4: 8. doi:10.1186/1746-4269-4-8. PMC 2323365. PMID 18371206. Wikimedia Commons has media related to Velliangiri Mountains. This page was last edited on 9 March 2019, at 18:28 (UTC).